As any experienced bartender can tell you, citrus juices are among the world’s best mixers and drink bases. The sparkling, sweet-sour taste and refreshing bright notes they bring to beverages are welcome in all types of drinks and at every season of the year, from the sweltering depths of summer to the cold heart of winter. What’s more, there’s hardly anyone out there who doesn’t enjoy the taste of citrus. Almost all of us find it refreshing and delightful. 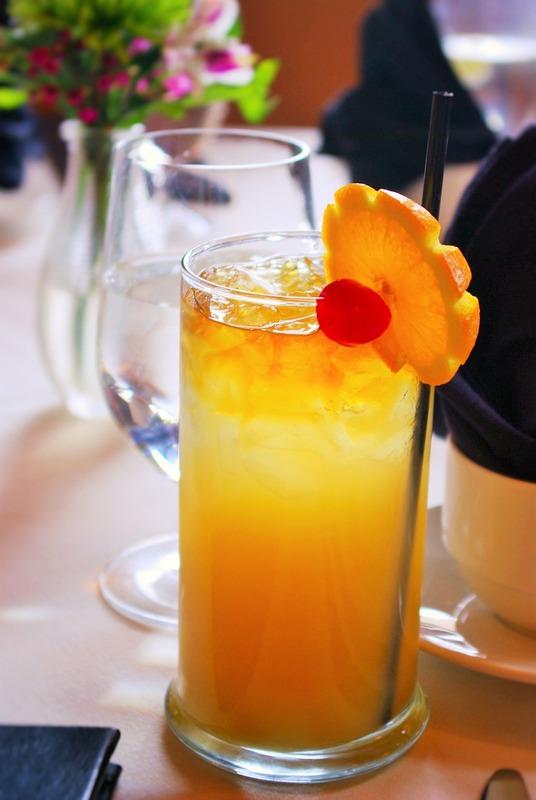 It’s no surprise, then, that crafty and creative mixologists have come up with perhaps thousands of variations on citrus drinks, cocktails, and beverages over the years, whether based on oranges, grapefruit, tangerines, lemons, limes, or other exotic citrus flavors. Plenty involve alcohol, of course, but there are lots of options out there for those who don’t imbibe. Read on to get some great ideas for delicious and festive citrus-based beverages, suitable for all tastes and times of year. Enjoy! Does this drink go out of style? We think not. There’s something about the gorgeous look of it in the glass that’s still so fun. Plus…tequila and fresh OJ. There’s something about sangria that never fails to make any occasion feel like a party, and this red wine and citrus sangria is no exception. This version features orange juice as well as sliced pineapple, pears, and oranges. Share it with friends! Talk about a very adult version of a creamsicle. You’ll need fresh-squeezed tangerine juice, vanilla vodka, and some tangerine simple syrup (it’s easy to make) for this one, but it’s going to be worth it. If you require some holiday cheer at any time of year, citrus can provide. This punch combines gin, orange juice, grapefruit juice, gin, sparkling wine, and a special almond syrup called orgeat to make an absolutely delicious treat that will knock the socks off your guests. If you’re of a certain generation, you probably remember these…if not, ask your parents! This tropical escape in a glass was very popular during the “tiki bar” craze of the ‘50s and deservedly so. It’s a bit involved to make, combining rum, curacao, pineapple juice, fresh orange juice, lime juice, and some tropical garnishes, but it certainly is fun. I don’t know about you, but just the name of this drink makes me feel cooler. It sounds absolutely perfect for a spring or summer night with friends and maybe some tacos or fajitas. Yes, you need a blender. 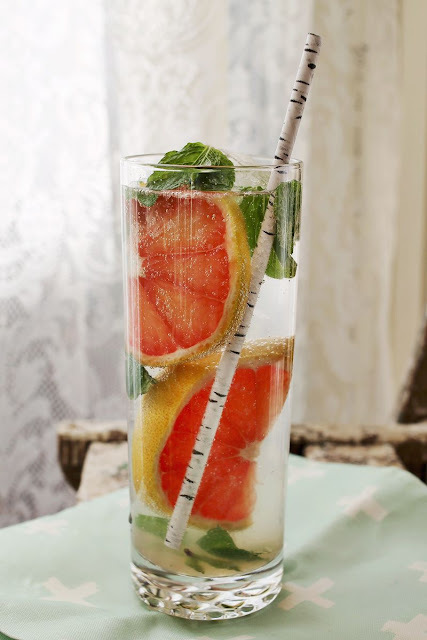 This lovely grapefruit and mint cocktail with white rum (serve in a clear glass!) is just the thing for a hot day…or, as the author suggests, for a cold and miserable day when you’re just pretending that it’s summer. This could hardly be easier, but the two naturally complementary flavors of orange and mint are meant for each other. Also try it iced with honey. This light and stylish nonalcoholic beverage isn’t for the kids, but rather for adults who are looking for a refreshing, different and elegant drink without the booze. 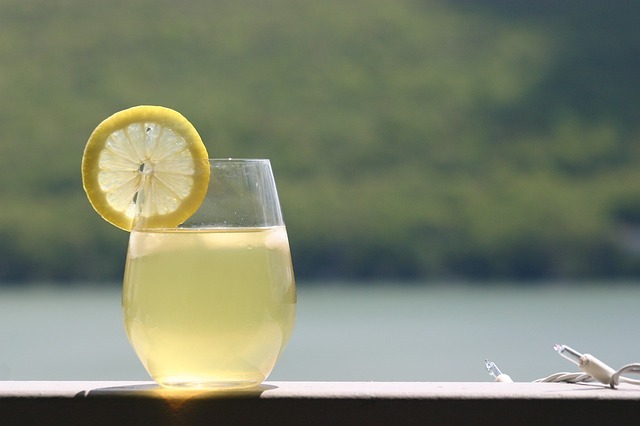 Of course, we can’t forget lemonade, a familiar favorite for a reason. The traditional version is always a classic, but why not mix things up and try one up these 30+ variations, too? (Note: a few do have alcohol.) I like the sound of the pomegranate and mango variations myself. Well, I don’t know about you, but I’m thirsty. Enjoy whipping up one or more of these delicious citrus coolers sometime soon.